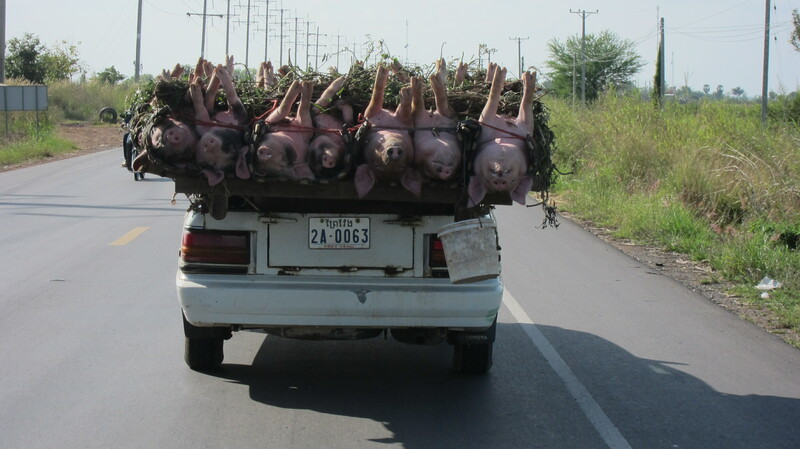 This is a common way of transporting live pigs to market in Cambodia. Putting the pigs on their backs calms them down and makes them easy to transport. Very interesting to seeing! Are those pigs was alive while they were carrying such a way? Yes, the pigs were alive. When they put pigs on their backs they relax and are easy to take from one place to another.